Be it the hues of the Lower Lake or vibrancy of Sakhya Sagar Lake- Madhya Pradesh can charm anyone with its multitude of stunning lakes. In the shadow of the heritage sites, lakes of the Madhya Pradesh are the most spectacular one. The vast expanse of water is surely a treat to watch and its calm and tranquil surroundings have a very soothing effect on the mind. 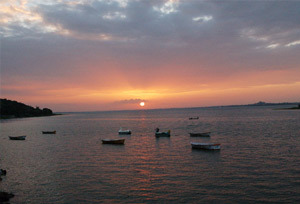 One can say that to see the lakes is one of the reasons why people visit Madhya Pradesh, especially Bhopal. If offbeat travelling is the forte of every tourist then the lakes in the heart of India will not disappoint them. One such lake that is on the itinerary of every tourist is the Bhojtal. This lake is a hotspot for people of every age. Kids can enjoy a picnic here; young ones can indulge in the scenic activity. Even the boulevards on the sides of the lake are a treat for brisk walking. Further, the lake is divided into two parts-Upper lakes & Lower Lake. Other then the scenic beauty of the Bhojtal there are many other reservoirs that are pristine clean in Madhya Pradesh namely Moti Lake, Sharangpani Lake, Tawa Reservoir and Shahpura Lake. For a serene retreat, far away from the mundane city life, these lakes are where everyone should be. Lakes of Madhya Pradesh are a vivid combination of tamed wilderness and landscape architecture. Outing in Madhya Pradesh is mostly preferred in the months of winters when the weather is conducive enough to enjoy outdoors. Needless to say, these are the places to rejuvenate, relax and revive. If the tourist is looking for some peaceful time or wants a little splash, the lakes of Madhya Pradesh offers a perfect background for the ideal holiday. Bhojtal Bhopal 31 sq. km. Lower Lake Bhopal 9.6 sq. km. Tawa Reservoir Hoshangabad 225 sq. km.